The reviews are in! TENDERLY is an "all-around beautiful production"
Buy online now and pay no ticketing fees! "As Clooney/Anderson spins out anecdotes of childhood, celebrities, and romances in her psychiatrist’s office, Shipley/The Doctor transforms into whatever other character is required – sometimes with hilarious results, such as when the two re-enact the famous “Sisters” duet from White Christmas"
make a great holiday gift. three shows in our 2019 Season. Get a group of your friends together for a Thursday evening performance of TENDERLY: THE ROSEMARY CLOONEY MUSICL. You get $5 off each ticket purchased for Thursday evening performances for groups of 6 to 14 and everyone in your party will receive one free glass of house wine. Just go online and use the coupon code "Ladies" or call our box office at 952-474-5951 for tickets. 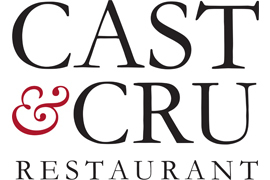 Join us for dinner before or after the show at our new Cast & Cru restaurant overlooking our chef's gardens and the pond on our 11 1/2 acre property. It is a contemporary American dining experience you won't want to miss. A theatre ticket purchase does not include a dinner reservation unless you request it. 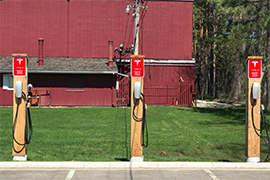 We have installed three free 220V 40A Tesla chargers for free and convenient charging of your Tesla. These chargers are open to the public with no obligation. We also offer the service free of charge to any electric car owner that has the proper adapters. Just plug in, and come on in to enjoy a show or dinner while your charge your vehicle at the only destination chargers in the area.